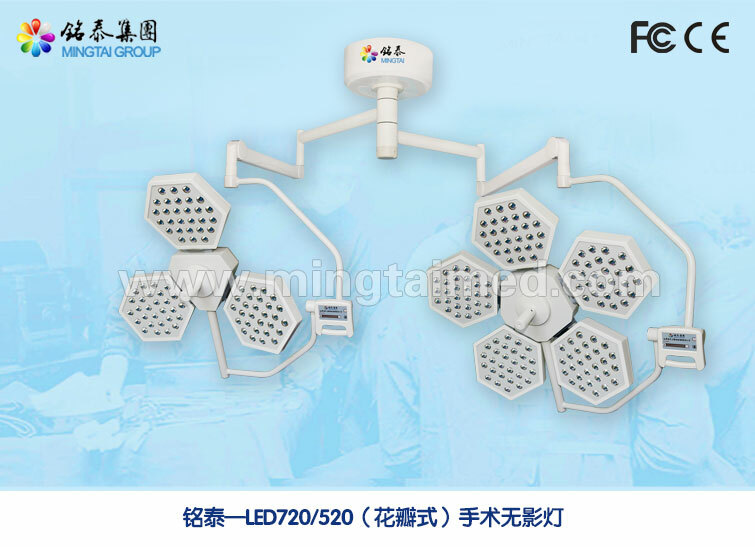 Mingtai LED720/520 petal model or light LED bulb LED don`t engender infrared ray, temperature rising in doctor`s head is less than 0.5℃, and low temperature rising in the surgical field can prevent body fluid`s losing during operation. The petal model LED720 illuminance can be 160,000 K, and the illuminance for LED520 petal model is 120,000 K.
Looking for ideal LED Or Light Manufacturer & supplier ? We have a wide selection at great prices to help you get creative. All the Surgical and Examination Lighting Systems are quality guaranteed. We are China Origin Factory of Led Bulb Shadowless Surgical Lights. If you have any question, please feel free to contact us.